According to recent data, eCommerce spending will reach $5 trillion by 2020, representing 13% of all payment card transactions. Unfortunately, that growth comes with some persistent challenges. Our professional expertise has always suggested that eCommerce fraud and unresponsive, difficult-to-interpret data are some of the biggest problems merchant face. Now, a new study from Vesta Corporation supports our claims. So, what are the challenges of eCommerce that merchants will find themselves up against in the next few years? And most importantly, what can they do about it? Studies suggest eCommerce spending will reach $4.94 trillion by 2020, more than doubling from $2.1 trillion in 2014. Unfortunately, eCommerce fraud is also set to explode at an equally rapid rate. One of the main factors in the rapid rise of eCommerce fraud is friendly fraud. Also known as chargeback fraud, this technique allows fraudsters to exploit payments and eCommerce vulnerabilities at the merchant’s expense. As a working chargeback fraud definition, imagine dissatisfied customers requesting chargebacks from their bank. They claim that a transaction was fraudulent, when in reality, it's just less of a hassle to work through the bank than through the merchant. While friendly fraud often results from consumer confusion over the chargeback process, it also originates from situations of cyber shoplifting. Check this article: Twitter users are engaging in friendly fraud and bragging about their conquests on social media. 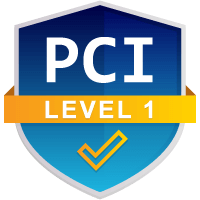 Additionally, experts have tied an explosive growth in card-not-present fraud, including friendly fraud, to the recent EMV roll out in the US. eCommerce has become the fraudster’s path of least resistance. Friendly fraud is a learned consumer behavior. Banks generally adhere to the idea that ‘the consumer is always right;’ this is coupled with zero consumer liability and an insufficient amount of due diligence. These realities teach consumers that illegitimate chargebacks are a convenient way to secure a refund in our instant-gratification society. Merchants will see friendly fraud continue to rise, meaning they must take action to protect themselves. Unfortunately, merchants are too busy growing their businesses to allocate sufficient resources to fraud management. Merchants can no longer rely on reason codes to identify the source of chargebacks because consumers can disguise their fraud attempts with virtually any reason code. Merchants need new solutions to defend their chargeback rights. Fortunately, Chargebacks911® employs a comprehensive, dynamic approach to friendly fraud mitigation that is independent of ambiguous reason codes. 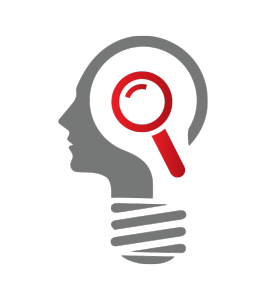 Our Intelligent Source Detection™ is capable of identifying the real source of chargebacks. This unprecedented capability is the only way to truly create effective prevention and representment tactics. Once merchants have isolated friendly fraud, it is time to start challenging these illegitimate chargebacks. Our Tactical Chargeback Representment recovers revenue that never should have been sacrificed in the first place. However, our strategy is about much more than just revenue retention. Our efforts to challenge friendly fraud help improve the merchant-issuer relationship, thereby reducing future chargeback issuances. We retrain dishonest consumer behaviors and encourage issuers to execute sufficient due diligence. All these benefits are achieved without damage to customer retention rates. 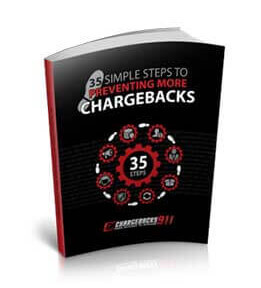 Contact Chargebacks911 today and we’ll show you how to challenge chargeback fraud without sacrificing loyal customers. Consumers expect an increasingly multi-channel approach to shopping, allowing them to switch seamlessly from one device to another or from the brick-and-mortar environment to the web. This is especially true for younger consumers who constantly rely on mobile devices to facilitate the shopping experience. What makes collecting this information even more difficult is the sheer volume of data; merchants have to separate the pertinent data from the irrelevant. Chargebacks911 is committed to helping merchants achieve sustainable, long-term growth. To do this, merchants must be able to adapt to new and emerging technologies—and the challenges they present. Merchant Compliance Review is one of our dynamic tools that helps merchants remain agile, yet compliant to industry standards and consumer preferences. It is a 106-point inspection of all merchant policies and procedures, designed to isolate potential problem sources. We work with merchants’ customer service departments to enhance the customer experience, showing merchants how to identify and capitalize on opportunities lost due to ineffective business procedures. Once we’ve identified the vulnerabilities in the merchant’s policies, we can recommend customized solutions designed for the specific needs of that individual organization. Fraud filters are used to gauge threat levels and anticipate potential cases of fraud. Transactions that are perceived as a high risk of probable fraud are usually denied. However, new technologies and evolving consumer behaviors are making safe transactions seem suspicious, meaning merchants either increase their rate of false positives or are forced to accept high risk payments. Not only do consumers want to shop across a range of different channels, but they also want to take advantage of multiple payment sources, and not necessarily login to a user account to do so. These customers frequently complete transactions with channels they’ve never used before, leaving merchants with no data against which they can cross-reference purchase history details. 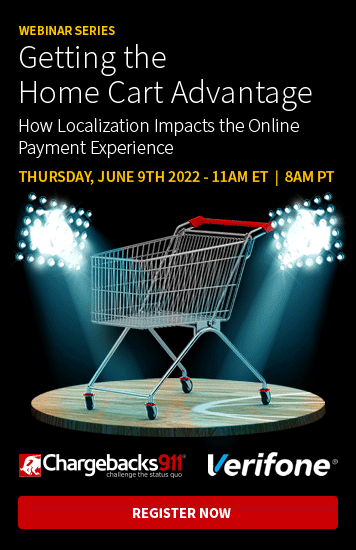 The threat is particularly pronounced among mobile shoppers, who are expected to represent the majority of eCommerce shoppers by 2020. Fraud filters can be a useful tool in detecting and preventing fraud. However, a static solution can end up costing merchants more than they save. Most transactions blocked by fraud filters are false positives; in reality, only 1 out of every 5 of these transactions are actually fraudulent. As a result, merchants lose out on $118 billion in potential sales each year, while actual fraud losses represent just 8% of that amount. Chargebacks911 specializes in helping merchants fine tune their fraud filters. We can optimize merchants’ detection software to ensure latest consumer preferences are met without increasing risk. How can merchants manage all of this multichannel interaction and still collect any meaningful or relevant data for analysis? How can merchants understand their successes, while also identifying potential vulnerabilities? Merchants can no longer view the specifics of their businesses in reference to industry trends. The new eCommerce reality calls for dynamic KPIs and chargeback reports in response to our current dynamic, omnichannel environment. Merchants need to develop their own, unique KPIs tailored to the specific needs of their businesses and the demands of their customers. Additionally, merchants need to track more than just customer trends and behaviors. Merchants also need to monitor third-party vendors and hold them accountable for their performances. 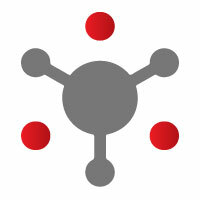 Chargebacks911 was the first service provider to facilitate the tracking of personalized KPIs. Our Client Portal is the only tool available that offers customizable KPIs with transparent, easy-to-interpret information. No other service offers actionable reporting that adapts so fluidly to the needs of each business. Chargebacks911 also provides Third-Party Vendor Audits and offers merchants the ability to hold vendors responsible for their results, as well as identify any redundancy among their network of vendors. Manual reviews aren’t always an option because there just isn’t enough time available. Consumers in today’s instant gratification society expect certain things, like digital goods, to be available immediately. This limits the opportunities for manual reviews. Fraudsters have learned to manipulate management shortcomings. For example, they’ll either make purchases when transaction volumes are high, hoping to blend in, or they’ll conduct their fraud after hours when detection efforts are minimal. Failing to conduct manual reviews means an elevated risk of false positives. This decreases revenue potential and can seem off-putting to legitimate customers. On the other hand, if merchants simply accept all high risk payments and forego manual reviews, fraud—and the resulting revenue loss—will abound. In-house manual reviews are notoriously inefficient. Merchants don’t have the expertise needed to evaluate risk levels. Determined criminals are capable of disguising fraud from even the most attentive merchant. Additionally, few merchants have the necessary resources available to commit to fraud management; merchants need to focus instead on growing the business. Improperly-executed manual reviews can generate friction, creating a serious risk of shopping cart abandonment. Manual reviews remain the most effective way to decrease risk while optimizing profitability and ensuring customer satisfaction. For best results, merchants should outsource to a professional. Professional assistance, like that offered by Chargebacks911, ensures a higher ROI, optimum results, and a reallocation of valuable resources. On the other hand, in-house tactics are expensive and difficult to scale, diverting significant resources from the primary objective of selling more goods or services. Additionally, merchants need to consider supplemental fraud detection products. Traditional fraud filters are not capable of detecting all modern threats. For example, affiliate fraud remains concealed when analyzed with traditional fraud filters. 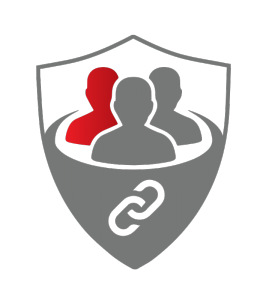 Affiliate Fraud Shield, when used in conjunction with current fraud detection tools, will offer more comprehensive protection. Vesta reports nearly 55% of surveyed merchants acknowledge that in-house chargeback management drains resources from revenue-generating departments, and nearly 65% agree that outsourcing is the most cost-effective option. As payment technology advances and fraud tactics evolve, more and more merchants will begin to realize the value of professional chargeback assistance. Chargebacks911 excels at detecting emerging threats and creating the dynamic solutions needed to help merchants stay one step ahead. We anticipate eCommerce trends and merchant needs to create the most relevant services possible. 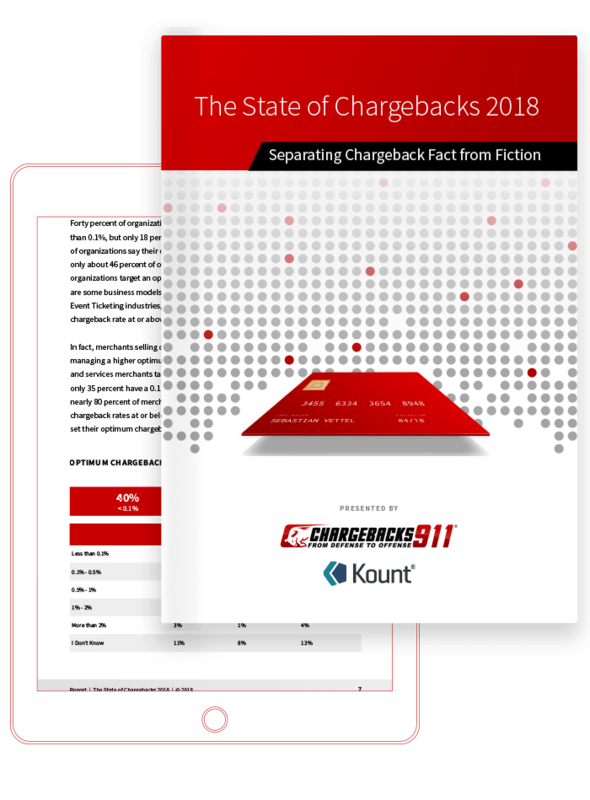 Other service providers are just now catching on to what Chargebacks911 has known all along—static, automated solutions are no match for fraud. To meet the eCommerce challenges, merchants need real, dynamic, actionable solutions. Merchants need Chargebacks911.